OK, I noticed that the last couple of posts on here have been about what I've been eating. In no way do I intend to turn this blog solely into a food blog, but that is one of the better topics of things I like to make mental (and then literal) notes about. So my apologies if my blog did nothing but to make you hungry of late. I am sure there are other interesting things to come - in fact, I have a couple of ideas. Now if only I would sit and write them. In the meantime, instead of food I'm eating, check out this iguana eating a delicious flower. 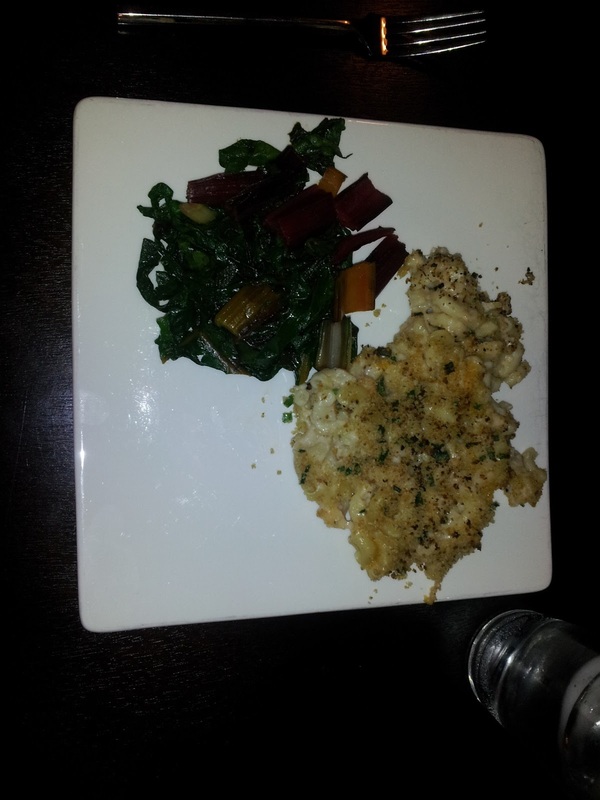 Every now and again, we make some yummy food, and I decide to share. We get several food magazines, from Food Network to Rachel Ray and Southern Living (and maybe even one more). This month in Food Network was a litany of cheese recipes, but we both started to drool at the thought of Lobster Mac and it didn't hurt that we had three rock lobster tails in the freezer. So, we spun up the recipe for lobster mac and cheese (involves whisking flour and butter and milk and adding 3.5 cups of cheddar cheese before adding pasta and chopped cooked lobster meat and broiling briefly). Note: Don't leave your lobster tails boiling unsupervised, lest they boil over on your stove. Just saying. 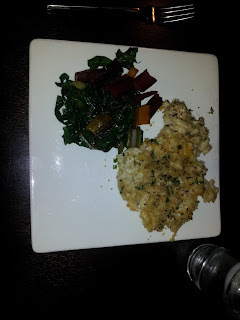 Along with this we had a combination of rainbow and swiss red chard. If you have never had chard, I recommend you try it. It's a green but without the usual bitterness, and much more sweet. Not to mention it has such colorful stalks, and I'm sure there are great vitamins in there. 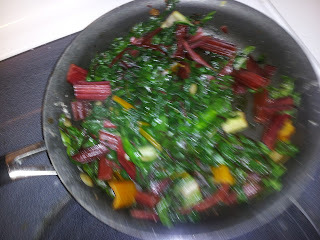 We took a bunch of Swiss red chard and a bunch of rainbow chard from the grocery store and washed it well. Then slice the stalks of the chard and roll the leaves up. Slice the leaves along the rolls, creating 1/4 inch ribbons of greens. Heat 2-3 Tbsp of oil in a skillet over medium heat (let it heat 3 minutes or so by itself). Add one clove garlic, crushed, and simmer for 1-2 minutes. Add the shredded greens, and mix up with tongs. Salt and pepper as desired. Cook for 5-10 minutes, moving around frequently with tongs until the greens are limp and well cooked. Any pieces of stalk should be quite soft. What you'll be left with is a colorful and delicious pile of greens. Good luck!